My first couple of attempts to catch bass in April were (as reported) dismal failures. Anyway, as the end of the month approached my pal Ben rang and asked if I fancied an early morning trip. I said yes of course. It was a lovely morning, more or less flat calm and quite warm. 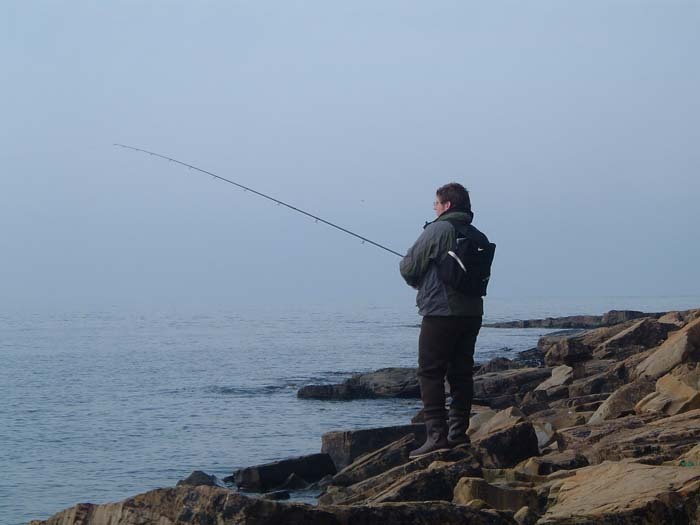 Ben picked me up at 04.20 hr and we were fishing by about quarter to five - still in the gloom. The spot that we tried first is normally very consistent but this time - no bites! Neither of us had anything resembling a take in the first half hour (usually the prime time). We moved on and tried the nearby tide race - nothing! 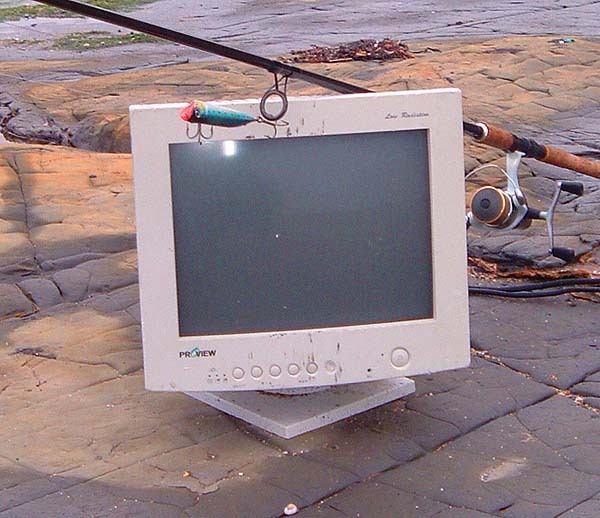 (apart, that is, from a disused computer monitor - even the flotsam and jetsam is hi-tech these days). Round to a mixed shore of sand and boulders - nothing! Back to the tide race - again nothing! By now the sun was well up and it promised to be a lovely day. As we walked back we decided to have a last cast or two into the spot where we had started. On about the fifth cast my rod pulled over and I was into a bass. Was I surprised? 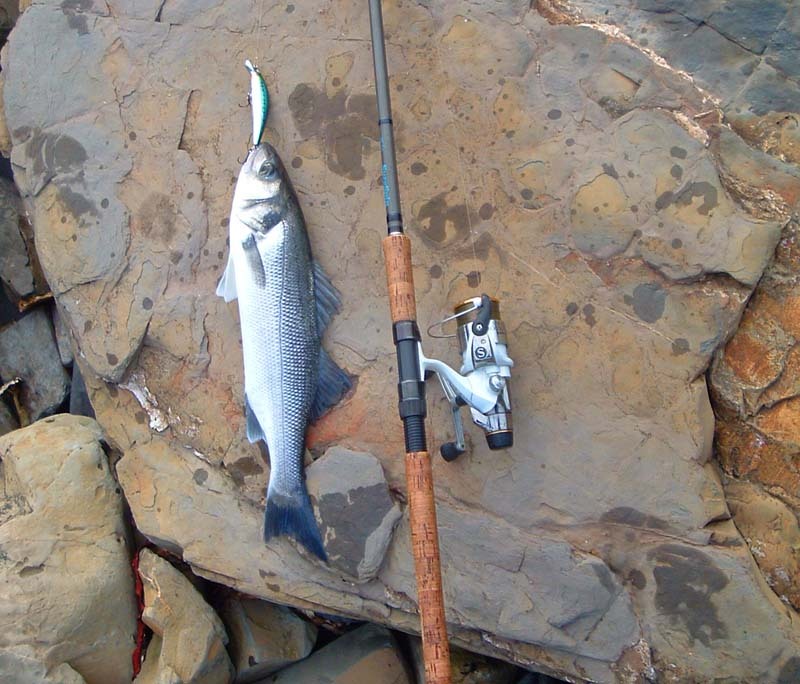 The fish splashed and struggled but it was no match for the line and I soon had it on the beach. About three pounds I estimated but should have been nearer four if it had been in good fat condition. we had a few more casts but nothing else showed so we went home for breakfast. The same evening I went with Nigel to another spot a couple of miles along the shore from where I had the bass in the morning. We were both armed with fly rods and spinning rods - just in case. We were a bit early as this particular place tends to produce best within half-an-hour 0f high water. Nevertheless, shortly after we started I had a small bass on the plug. After that it was pretty quiet for a while so we began to make our way back. 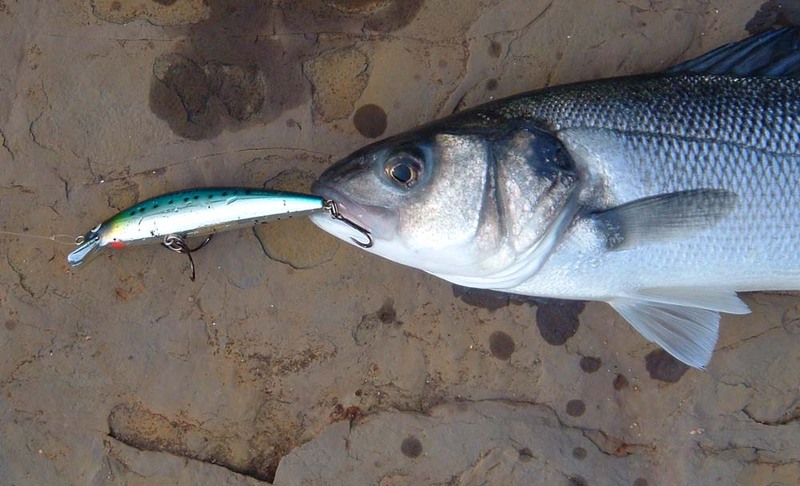 However, as the 'witching hour' (high tide and dusk) approached I missed a bite then I had another couple of bass. All in all not a bad evening.